Our chairman, Nick Leeming, discusses our latest research that reveals the top counties to buy a home by stamp duty band. Regardless whether a buyer is new to the market or looking for a downsizer home, purchasing a property is a big commitment, so finding the right one for the right price is a must for many. As the country continues to suffer from a chronic lack of stock locations that offer far more choice are becoming much more appealing to buyers. Lancashire, in north-west England, currently has more than 5,700 properties on the market within this bracket, making up 10% of the market. Merseyside is proving to be a hotspot for buy-to-let landlords with the metropolitan county homing hundreds of thousands of university students. Lancashire also takes the top spot for this price bracket, with almost 6,000 homes currently on the market ranging from studios to ten-bedroom homes. The commuting hotspot of Surrey currently boasts 1,249 studio or one bed apartments within this bracket, but only benefits from 4 four bedroom homes. If you want the best possible choice for a two, three or four bedroom home within this price range, the only way is Essex. The Essex property market continues to go from strength to strength and is likely to remain that way with the construction of the Elizabeth Line nearing completion, which will shorten journey times from the county to the centre of the Capital. With the East-West line set to complete in 2019, enabling direct travel from areas such as Shenfield and Brentwood to key locations such as Heathrow Airport, it will play a significant role in heightening property demand and increasing prices in those and the surrounding areas. Currently this county accounts for more than 8% of the market within this bracket, including 4,500 three bedroom homes alone. family home – almost 40% of available properties are three bedroom homes. 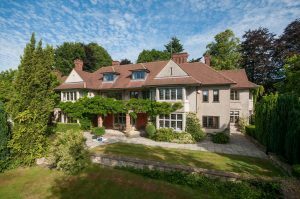 Surrey has always and will continue to be a popular choice for young professionals, particularly in areas such as Dorking, which benefit from fantastic transport links into London in under an hour. 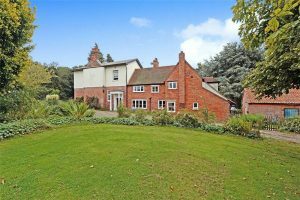 It is also a firm favourite with families wanting to set up camp in the scenic countryside surrounded by sought-after schools including The Ashcombe, one of the main state secondary schools in Dorking, and Holmesdale Community Infant School in Reigate. Surrey remains the favourite with more than 1,700 properties available in this price band, making up almost 20% of this market. Kent and Hertfordshire follow in second and third position, but with around 700 properties available, Surrey is the clear winner in terms of choice, ranging from luxury studios and one bedroom apartments for city commuters to eight bedroom family homes. Unsurprisingly, Surrey remains in prime position within this bracket. Out of the 4,600 properties available for this price, more than 1,100 are situated in Surrey. Hertfordshire takes second place, with just under 350 properties available. Our data has shown that the top end of the market has a clear lack of properties available, which can largely be attributed to stamp duty charges. Once a property hits the £2 million mark, stamp duty charges alone stand at more than £153,000. This, coupled with significant running and renovation costs which are commonly associated with such homes, could put buyers off if sellers are not willing to compromise on price.